View More In Potholders & Oven Mitts. Cuisinart products are built for comfort & long lasting performance. Our superior oven mitts are made with high-quality materials for safe & effective use in the kitchen. 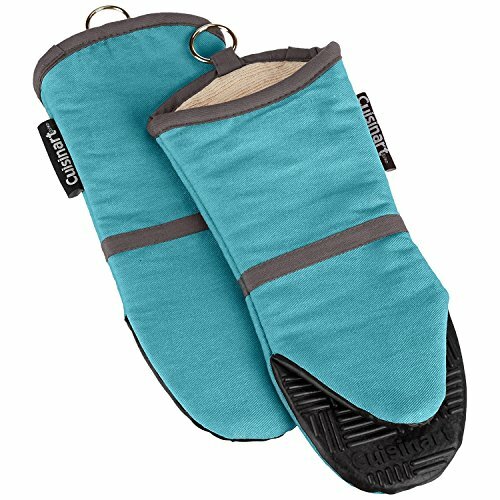 Cuisinart Silicone Grip Oven Mitts are heat resistant for temperatures up to 500° F, are non-slip and textured for superior strong grip, and are made with thick-layered soft cotton for comfort and performance.